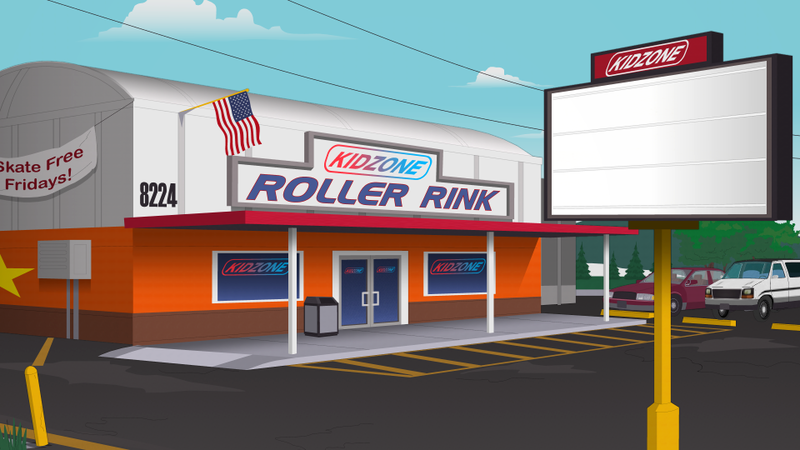 The Kidzone Roller Rink is a location seen in the Season 22 episode 2, A Boy and a Priest. It is booked out for Clyde's birthday party. It has facilities for roller skating but also for food and drink. They also have an air hockey table.